Of the many types of content available to marketers, the humble market survey may be one of the least used. After all, surveys take a lot of planning; they require lots of people’s participation; they need technology to make them work; and results require some scientific analysis. And those steps are just the beginning, to give you something to talk about! With so much work involved, can running a marketing survey be worth it? Content marketer Andy Crestodina says the answer is a resounding yes — if you apply what he calls the “Missing Statistic Theory.” Having just completed a massive survey of 1000+ bloggers for Orbit Media Studios, Andy talked to us about what he learned in a Hangout On Air this week. In the conversation he gives lots of practical insights for running a successful survey and explains how a marketing survey can make a website THE go-to source in an industry for years to come. The results of the recent “1000+ Bloggers” survey have been widely discussed. Copyblogger called the survey “great research, great content.” But nowhere has anyone talked about the why and how of the survey itself — until now. In our discussion, Andy reveals what he considers the key factor to making a survey with lasting marketing value as link-worthy, authority-building content. The Missing Statistic Theory boils down to this: “Every industry has conventional wisdom: statements that people say a lot, but haven’t necessarily been supported or proven.” These statements are the missing statistics for that industry. If you design a survey that discovers the answer (based on data) and then publish the results, you become the go-to source and authority for that statistic. For its recent survey of bloggers, Orbit Media Studios chose the conventional wisdom statement “blogging takes time” and designed a market survey that would find out how much time. By including such a large survey population, with more than 1000 bloggers, the results credibly answer the question. The survey proved the truth of the statement “blogging takes time” and actually discovered how much time — an average of 2.5 hours per post. Expect the Orbit Media Studios stat to be quoted in presentations, blog posts and infographics from here on out. This is exactly the kind of content that demonstrates expertness, authority and trustworthiness (coined E-A-T in Google’s latest quality rating guidelines) that Google is so hungry for. Optometry: A conventional wisdom statement might be: “People don’t get their eyes checked often enough.” A survey could ask people, “When was the last time you had your eyes checked?” The results could be shared that though getting an eye exam every 12 months is recommended, “patients on average only get their eyes checked every X years” — which could be used to support all of the services your optometry business provides. When you use data to support your claims, it makes everything else you say seem stronger. Yet marketers frequently forget this basic truth. What are the “frequently asserted but rarely supported” statements in your industry? They could be the seed for your next successful marketing survey that will not only back up your own marketing offers, but also attract links, and raise your authority as an industry source. Andy shares many practical tips on how to do a survey right, based on his experience. Here are a few — watch the full video conversation (embedded below) to hear more! Choose a survey topic with industry value: Follow Andy’s Missing Statistic Theory and you’ll be golden. Keep it short & sweet: Limit the number of questions and make them straightforward. You want to set the bar low so it’s easy for people to participate. Include space for comments: For at least some of the questions, provide an optional text box for participants to write a longer response in addition to the quantifiable yes/no or multiple-choice answers. Invite people individually, if necessary: Andy calls this using “brute force” — contacting potential respondents with handwritten emails, one at a time, in a massive manual outreach. It’s time-consuming, but addressing people personally increases the chance they’ll participate and builds the relationship. Quote participants in the results: By including some of the best comments in your results with the people’s names (and pictures, if possible), you instantly make them co-creators and allies in promoting your content. Think about promotion: From the very start, consider how you plan to promote your survey results. For instance, Orbit Media Studios surveyed bloggers because they would naturally be inclined to write about and promote the results. Martha: Thanks for sharing your experience, both as a survey taker and a potential survey maker. Surveys can be an excellent way to find out more about your customers! We have an article about researching your web audience to identify your target personas here: https://www.bruceclay.com/design/articles/webpersona.htm. It’s difficult to advise specifics since YOU really know best what questions will yield the information you need and which survey method will work best in your industry. Maybe another reader here will have suggestions for you. Wow! That’s a great blog. I didn’t do it till date. But this seems to be really effective. I remember some years back I received a questionnaire from one of my Facebook friends, asking me to answer some queries, which she said was her research paper. I obliged gladly. The questions were very simple. Now, I know I was one of her respondents and through this she actually judged my preference pattern. Great! Can you please give me an idea about how to proceed in knowing psyche of my customer regarding riflescopes? Rohan: Your comment sounds like you have experience running marketing surveys. Thanks for sharing what you learned! I agree and really like the “individual response” elements of a survey. We get some of the best insights this way from people we survey after they’ve taken our SEO Training course. But yes, reading hundreds of free-form responses takes a lot of time. Surveys are an investment, but I think Andy Crestodina’s point is that they can be worth it if they give you that highly valuable, “missing” statistic. This is indeed the key to successful survey strategy. Many surveys are done by different companies, but if one needs to have some actionable data then it should be short and relevant. One should start from understanding the industry standards and ask short, to the point questions to get huge responses. It is the best practice to have more individual responses recorded manually, though it can be done only for say, 1000 responses. The results will be more better though. Of-course, promotion is the key to any content, or survey. Hi Marcos – I’m surprised to hear you say the technology is expensive. Have you experienced that? Please write back and let me know. The pricing plans I see at Survey Monkey (whose plans start at free and $26/mo.) and even FluidSurvey (the tool Andy Crestodina used) seem reasonable. What’s more costly is the time investment required to plan, run, and publish the survey. 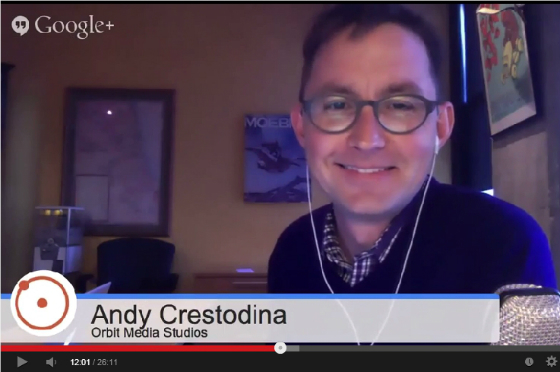 Andy Crestodina said in the interview that he spent 100 hours on their survey. As with any business expense, you have to weigh the costs with the potential return to see if it’s worth it.